This week I have been simultaneously working on my Wu-Tang Clan Illustration and a new N.W.A. piece for joedichiara.wordpress.com. The N.W.A. art is similar in style to the Wu-Tang samples I posted last week but ventures into a new technique I have been toying with. 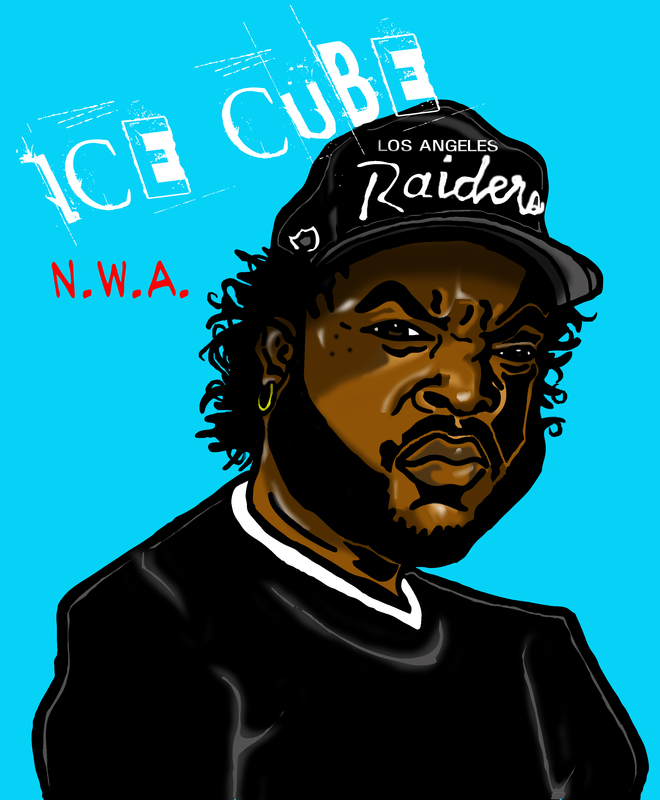 Today I am posting the first finish for the N.W.A illustration, AmeriKKKa’s Most Wanted- ICE CUBE! Be sure to check back this week for updates to both the Wu-Tang Clan & N.W.A. illustrations! Also be sure to log onto my website http://www.joedichiara.com to see more artwork! Here’s a Classic Cube Joint they don’t make music like this anymore….shame.